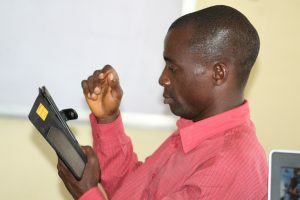 A few months after its official launch, students of the Bishop Wenner School of Theology in Freetown, Sierra Leone were the latest group of African theological students who received E-readers for their studies. 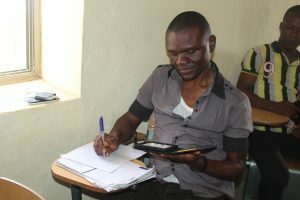 Donated by United Methodist philanthropists through the Discipleship Ministries (DM) and the Higher Education and Ministries (HEM), the E-Readers are expected to ease the long standing burden that African students face due to the lack of books. In a brief statement on behalf of his fellow students, Charles M. S. Carew said the E-Readers were timely and would serve the students well by saving them the extra cost of going around looking for books and spending money. “We will now hold our books in our hands and do whatever assignments there are to enhance our learning here at Bishop Wenner School of Theology,” he emphasized. Carew noted that the E-Readers are going to fill in a major gap in their academic journey and beyond. 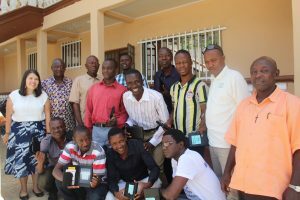 He further thanked the Discipleship Ministries, Higher Education and Ministries, and all the individuals who contributed to the E-Readers Project. For his part, Rev. Alfred Karimu, Dean of the Bishop Wenner School of Theology said the E-Readers were the United Methodist Church’s way of making sure that students who are studying theology in Africa were given the best resources for their academic journey, adding, “You need to make good use of these e-readers, because your failures to do so will be a hindrance to others who will be coming after you.” He acknowledged the roles of the two agencies (DM and HEM) in supporting educational undertakings around the world, especially in Africa. He stressed that because the e-readers were given to the students free of charge at the Bishop Wenner School of Theology, their academic performance would determine if they will keep the e-readers for the following semester. “If your grades are not good, we will take the e-readers from you,” he warned. 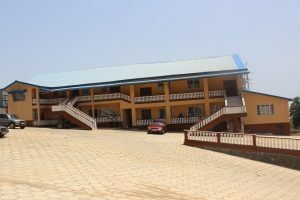 Named in honor of Bishop Rose Marie Wenner, the School of Theology is the first college of the United Methodist University in Sierra Leone. The university was officially launched in January 2018 and is now part of the many universities that are benefiting from the United Methodist Church’s E-Readers Project. Story and photos by E. Julu Swen.